This beautiful matching rustic log furniture bedroom package by Rustic Natural Cedar includes their standard cedar log bed, one log nightstand and one log chest or dresser of your choose. You can also add an additional nightstand, dresser, chest and log armoire. You'll love the extra-smooth, hand-sanded logs on this white cedar log bed and the metal bed frame are covered with decorative half-logs.  You'll feel safe and secure on this solidly constructed log bed as this manufacturer uses logs that are approximately 5" in diameter. Click the link to view our rustic furniture bedding fabric options and mattresses ! Photo include the 1 drawer nightstand. See the "Additional Images" tab for photos of the log nightstands, chest, dresser and armoire. For a more rustic furniture look, keep the log bedroom set unfinished or add the clear lacquer for added protection. Beautiful Northern White Cedar is used for its creamy white color and enduring strength and has an exceptionally high strength-to-weight ratio, which means that it is both durable and easy to move about. It does not shrink or warp as many other woods commonly do. This manufacturer offers a 5 year warranty on all their rustic furniture. As with most of our rustic log furniture, this bedroom package has free curbside delivery to the lower 48 states. Here's a rule of thumb: the more massive the room, the more massive the rustic log furniture!